Maternity photography is becoming more and more popular as the world grows up and the people in it come to realize that a pregnant belly is most definitely not something to be hidden away!! It is such a miracle of life and should be celebrated completely! Rewind just 40 years ago and you would not see a bare belly in sight, and rarer than this, a woman and her pregnant belly on the beach in front of a camera, full swing into a maternity photography shoot. Heavens, how indecent! Haha! It makes me giggle when I chat with my elderly grandparents about this. The looks I get from them when I casually mention that I just got in from a maternity photography session are quite funny! You can see the bewilderment on their faces, and the unspoken question (most of the time) “Why would anyone want photos of that?” My, how time changes us as a species. The complete opposite question is asked these days. Why WOULDN’T you want to capture that! At the time, 9 months of pregnancy can seem endless, however, within weeks after giving birth, a lot of us are left missing our belly and the feeling of our baby moving on the inside (minus those sharp kicks to the rib cage). This is where maternity photography plays such a huge part. It helps to fill the gap and lets us look back on those moments and remember the absolute magic in the fact that your body built a human life (or two or more!). Maternity Photography is a beautiful way to ensure that this special time in your life is always remembered. It is also gorgeous way to show the occupant of that belly, when they are much older, that you loved them like crazy, right back when they were not even quite here yet. I invite you to view my maternity gallery. You can also return to my home page to learn more about what I have on offer. I am only too happy to help with questions, so get in touch via my contact form and let’s chat. To stay in the loop with specials, updates and some cute photos of bellies and newborn babies, follow me on Facebook and Instagram. 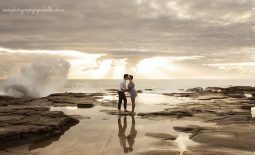 Here are a few from a recent Maternity Photography session on the Sunshine Coast. This is my Daughter’s beautiful Street Dance Teacher!! If you have a child who is into hip hop I would definitely recommend checking these guys out!! MF Dance Australia.